Morning After 7: 4 weeks to go until the annual Arnies Social Weekend! That’s right! Just 4 weeks to go! The welcome packs have been sent out to all who have booked, but there’s still time to take part in one of the friendliest, newbie-welcoming airsoft events in existence! How many other weekenders give you an opportunity to make friends, shoot your new friends, and then be attacked by shot friends with foam cutlasses? Facilities: Portaloo & Shop (provided kindly by Gunman), Genny & Charging Facilities. Indoor social / sleeping accommodation in the barn. Camping space is available, and a Travel Lodge is five minutes drive away, as are several takeaways, pubs and a Tesco within ten minutes drive (next to the train station if coming by train). Game Ideas: Crazy, Arnies themed fast-paced events. If you have ever wanted to play Stalker with carrier bags or take part in a real life forum war shouting out inane slogans while avoiding the wrath of the humourless forum staff, this is the event for you! B- Pay now a deposit (£31.26 – £30 + Paypal) (go to http://morningafter.konstipation.com) and then pay £30 on gate. 20 people are already booked so we already know this will be a blast – there a maximum of 10 more spaces available. For insurance purposes no walk-ons will be allowed so book if you want to play! For more information visit the MA7 Forum or PM Marlowe on the forums. Arniegeddon: Forever–Arniegeddon is back this August! That’s right. The official Arnies Event is back and happening this August! Arniegeddon: Forever is the return of the Arnies community event. A weekend event, the aim is fun and socialising, rather than serious military simulation (although as numerous geardoes attend and all of our brothers in bdus are welcome!). Games will generally be rapid, fast-paced and most importantly fun scenarios featuring both FIBUA and woodland games. The content while planned WILL be highly flexible, and I will happily arrange new games / shift the focus towards more FIBUA or woodland based around what you all prefer. The aim of the weekend is for you to have fun, so please say throughout the event if you have a preference! ALL members are welcome, whether you have 1 post or 10,000. Arnies regulars and forum staff will be present for you all to meet, socialise with and shoot (yes that includes me! ), but the event is VERY newbie friendly and we will welcome new forum members and their friends as much as long term regulars. 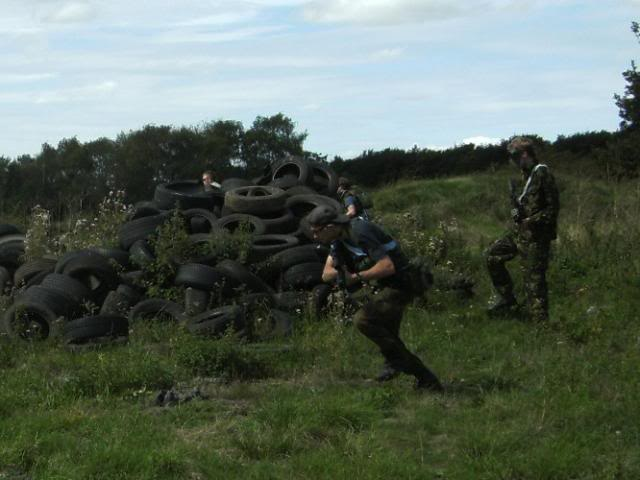 Based upon the experience of the past 3 Morning After events, Arniegeddon Forever will be run at Gunman Airsoft’s Suffolk site, a former WW2 RAF airfield which features a mixture of urban and woodland, which is easily accessible from major A roads, making it ideal for people across the country. I try to play there as regularly as I can, and I’m from South Yorkshire, so that should indicate how easy it is to access the site! The site is located at 52° 18′ 12.41", +0° 33′ 57.98" (52.303446, 0.566105 , at an old RAF airfield on Cavenham Road, Tuddenham. When heading down the Cavenham Road from Tuddenham look for a driveway on the right leading across an open field. If you have driven past the quarry on the left, you have gone too far. If heading from the Cavenham side of the road (those of you driving from Bury St Edmund may come this way), look to your left for the site entrance, just after the quarry entrance through the trees on the right. My awesome (…) road signs will be marking the site entrance once more (more gale force winds / natural disasters notwithstanding). NEW: Google Streetview now has visited the road – please look at this image to see the correct driveway should signs etc fall over! The gates will open at Friday 05/08/11 at 1500, from which point on all are welcome. Game on will comment at 1000 on Saturday 06/08/11, with games concluding at 1300 on Sunday 07/08/11. How much is it? How can I pay? The total cost of the weekend is £60, payable via PayPal either fully up front or with an initial deposit and payment of the remainder upon arrival. Should you need to use an alternative payment option please contact me and we can discuss alternatives. To pay please visit the booking thread, where links can be found to the payment system. Please remember when booking to state your forum name so I know who has paid and can add you to the list! If you’ve any questions please feel free to get in touch or visit the Arniegeddon: Forever Facts & FAQ thread. I hope to see you all in August! Price: £60 for the weekend (payable by partial deposit or in full in advance – see the booking thread for more detail). Please ensure you approach Marlowe before attempting to book – any unsolicited bookings will be cancelled and refunded. For more information please contact Marlowe directly or visit the MA7 FAQ Thread. Hope to see you there! Morning After 6.5: 10 spaces for any members due to demand. Due to demand, we’ve now raised the maximum number of spaces available for Morning After 6.5, the Arnies community weekender. This means there are now 10 spaces available. The event is open to all Arnies members. Who: Forum Staff, Regulars and friends (with perhaps the odd mystery guest!). What: Fun games, socialising and perhaps just a tiny spot of drinking! For more information and for any queries, head over to the Morning After 6.5 section or PM me (Marlowe) directly. MA 6.5 is almost here – only 2 spaces left! There are only two spaces left for Morning After 6.5, the Arnies community weekender. The event is open to all regulars wanting to meet friends and have fun but be warned – milsim this is not! For more information and for any queries, head over to the Morning After 6.5 section or PM me (Marlowe) directly. Hope to see you there! Morning After 6.5: Only 3 places remaining! That’s right! Due to an unpredicted demand for places for this increasingly popular Arnies social event, there are now only 3 places remaining for this event. Marshals: Marlowe, Rhino, Shriven and Cazboab. 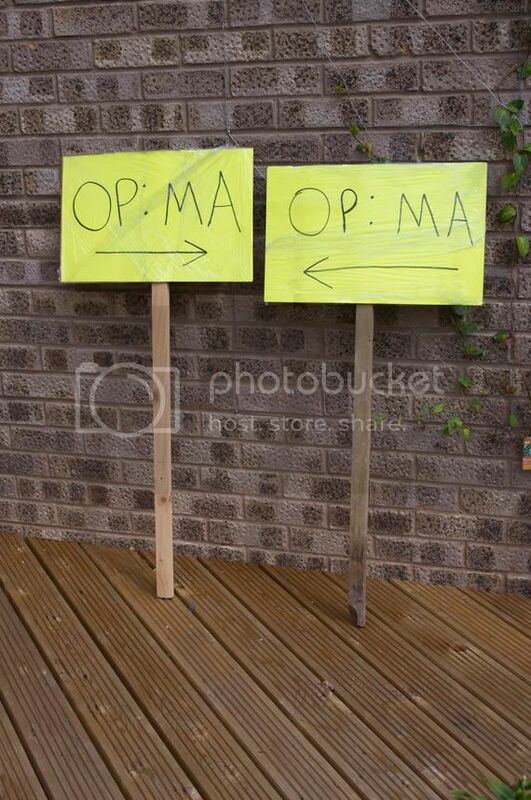 I would also be keen to have two other willing player marshals – drop me a line if interested. I have had offers already so please don’t be offended if I don’t take you up on this occasion. Food run: BBQ Facilities (cook it yourself!) to be available Friday & Saturday night. On Saturday night we will also arrange a delivered pizza service – there are also Chinese takeaways, pubs and a Tesco within proximity of the site. B- Pay now a deposit (£20) + paypal fees (go to http://morningafter.konstipation.com) and then pay remainder on gate. To book or for more information, visit the Morning After 6.5 Booking Thread. Morning After 6.5: Only 10 places left! Due to the success (and good fun had by all) at the previous MA events, there has been an unprecedented demand for places for this Arnies social event, even though the event is not until March 19-20! 20 of the 30 available spaces have already been booked up, so if you are considering coming, decide soon to avoid disappointment. The event is open to all Morning After / Arniegeddon veterans as well as any member with the ‘Forum Regular’ status. If you have not had a chance to take part in previous Arnies events and do not have enough posts to have Forum Regular status, don’t worry – find two of the regulars attending to vouch for you, or, if a friend is already attending, they can vouch for you. This may seem like an odd approach, but the emphasis at MA is fun above all else. Many players have attended huge (50+) social events before. While the scale is usually impressive, invariably the actual overall experience had by all is not. MA aims to ensure that, through having a small group of fun-seeking individuals, everyone enjoys the weekend – not just a select few. Remember: if you’re not booked you can’t join in! If you want to take part, go to the booking thread. If you’re interested but not sure about the nature of the event or whether you are eligible to attend, contact me or visit the Morning After forum to see what sort of antics we usually get up to and the feedback of the previous events. As I write this I feel somewhat stunned and unsure what to write. Galactica_tb may be known to some of you. He was a longstanding Arnies regular and a stalwart of the IRC chatroom, where he could be found offering advice on anything from airsoft to audio choices. Galactica_tb had been in hospital for the past few months after suddenly experiencing a collapsed lung due to fluid. While recovering from this, a rare blood cancer was found, forcing him to undertake lengthy chemo. Throughout all this time he continued to visit the chat whenever he felt up to it, maintaining his characteristic sense of humour despite his considerable discomfort. Sadly we’ve just received the news that his other lung collapsed today, killing him. This news is very raw so I apologise if this is not the most coherent of posts and that there is not, as we so often do in this tight-knit community, at present any suggestions for donating funds to charity – I will update this should his family request this. For now I simply wished to convey this news to the whole of Arnies so that we can, as a community share in our sadness at Galactica’s passing and convey our best wishes to his family. I for one am now going to have a drink while I try to remember Galactica in happier times. Bye mate. We’ll all miss you. We now have sole use of Longmoor U.T.C and have our gamebooked for the 28th of Aug, We know this clashes with a weekend event so if you do not have the time or money to do all weekends then why not try out our games at Longmmor? For this event we are going to split the day into 4 and have 4 games that are full on fighting through and around the village with trains and tanks ben in play also the new and revamped afgan F.O.B and also the s/f base so we have alot of game area to play and cover. The dress is desert/tan and dpm/black for sides but when booking please state your side , This will be a full on day of fighting in, through and over the houses and the streets of Longmoor. the games will be hard and fast to get you all working. www.airborne-airsoft.co.uk or phone 07938 620635. Times for the game are book in by 08;45 NO LATER and we will be playing untill 18;00. A meal will be given for free and hot drinks will be on all day free of charge, You will be able to buy cold drinks and also tuck all day.The total for the day all in is £45.00 the closing day for booking in is 22nd Aug.
Any questions please feel free to ask. We can also supply hire guns at a cost of £15.00 per weapon but you need to book in sooner rather then later. Morning After 6: Only a few spaces left! This is the final update for Morning After 6 before the hilarity commences on the 20th! With 30 players who have either paid or have confirmed attendance, we only have limited space left now. If you want to come please contact me asap to save a place – leave it too much longer and it’ll be too late! Just to remind you, this is a chance to meet other Arnies regulars as well as quite a lot of the Arnies Moderating team – and then shoot them lots! 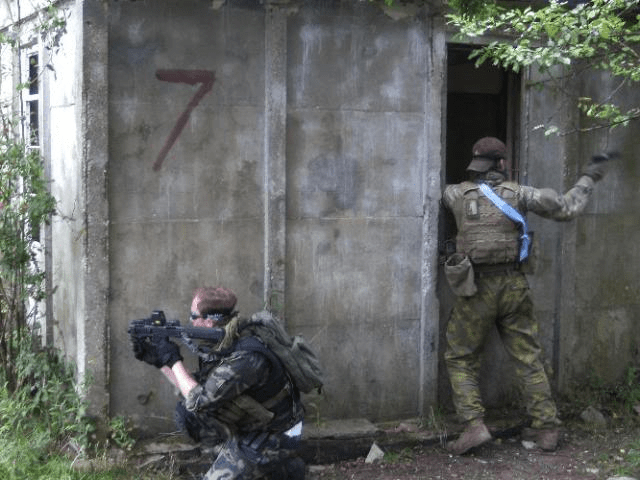 Venue: Gunman Airsoft’s Tuddenham site, Suffolk, UK. If you’re interested or have any questions, feel free to pm me. Please remember that this is an Arnies event – but you are welcome to bring guests if you check with me first! Yes, it’s here. The sixth epic installment in Arnies Community Events is here! After the (puzzling) success of Morning After 5, run by yours truly in February with great doses of support from Rhino and the goodwill and patience of all who attended, I have been asked by many regulars to run another game – this time preferably without complementary blizzards! So here it is: Morning After 6. Supported by the kind team at Gunman Suffolk, who are allowing us private use of their Tuddenham site for the weekend once again, the event is due to run again. The game works on an invite only basis but if you are an Arnies regular you most likely will be welcome (along with a non-regular friend). MA games emphasise small, intimate (careful there ;) ) events rather than pointlessly large (and boring) games, so places are limited to 30 – with 17 already being filled. If you’re interested and want more information or have already decided to book a place click here or PM me directly. Payment is not compulsory before the event but e-payment bookings are already being received. Here’s to another slightly wacky Arnies wekender! It’s not often I get a chance to post news these days, but I thought that this might be of interest to the locals. Morning After 5, the fifth fateful instalment of the notorious Arnies Regs weekenders is running in just under a fortnight on the 19th-21st of February at the Gunman Tuddenham site in Suffolk. As always the event will be an intimate event for regs to catch up, drink…oh there’ll be some airsoft involved in there at some point too! Spaces are limited (with 21 of the maximum 30 full), but Arnies regulars are welcome to contact Marlowe (that’s me) or visit the MA5 forum for details. ChrissyG on the forums has been kind (and lucky!) enough to be given one of Gunfire’s new range of rifles to review. All in all the rifle looks quite promising, with the inclusion of a mosfet as standard quite a selling feature given the increasing popularity of them in all high-performance AEGs. To read the review in full click here. Alternatively, feel free to go shopping at Gunfire’s website at http://www.gun-fire.com/. Following up on the release of our precision VSR-10 upgrades, PolarStar Airsoft is proud to announce the release of our new mock suppressor for the KWA M11A1. Available in black and limited edition silver, they are CNC machined entirely of aircraft grade aluminum alloy. External surfaces are glass beaded for a non-reflective, matte finish and all components are anodized to military specifications. 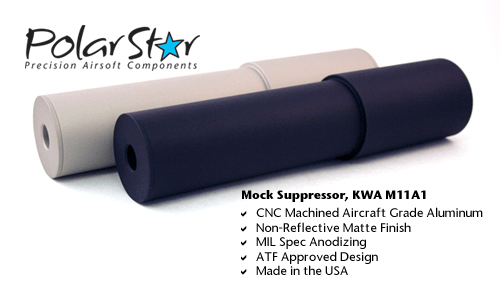 This mock suppressor has be evaluated and approved by the ATF Firearms Technology Branch and as with all PolarStar products, it is designed and produced in the USA. An optional barrel spacer will be available separately. This spacer can be installed at any point along the length of the mock suppressor to support an extended inner barrel (coming soon from EdGI Custom Works). Now available at Evike.com and Trinity Airsoft. 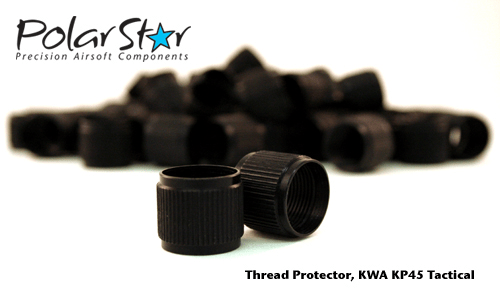 To complement the release of the KWA M11A1 mock suppressor, we are also releasing our new thread protector for the KWA KP45 Tactical pistol. Leningrad, Moscow, and Rostov in the shockingly brief period of less than six months. Faced with this sudden, deep, and relentless German advance. The first of the Eastern Front battles will see the German advance into Russia, with Minsk in sight, can the Red Army hold of the advance of the superior German war machine. 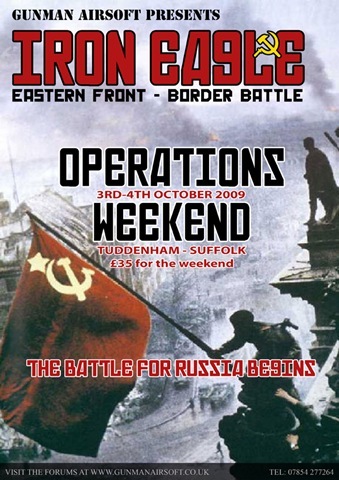 The first game will be an Ops weekend at Tuddenham, it will be Russian vs German (no Brit or US) but i’m happy for you to use any 2ww weapons or Bolt actions;) Kit wise, if you have nothing, ill have a pile of russian and german clothing to rent out FREE! The Iron Eagle campaign is based on a German Advance rather than the Allied D-Day battle which are more Allied based games. We have chosen the Eastern front to add a new dynamic to 2ww Airsoft and using the same format as D-Day, there will be Operations weekends followed by main battles at fitting sites and all the stops will get pulled out to make every weekend truly memorable. Hope to see you all in the field.